Raheem Sterling was subjected to racist abuse from a Chelsea fan at Stamford Bridge last weekend. Sterling spoke out about racism on an Instagram post after the incident. And called out the media criticising their treatment of young, black footballers. 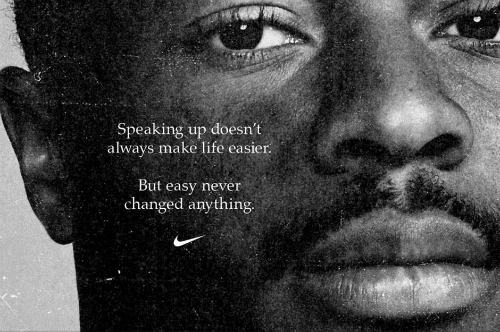 I support the stance of Raheem Sterling and Nike.